30,000 original miles. 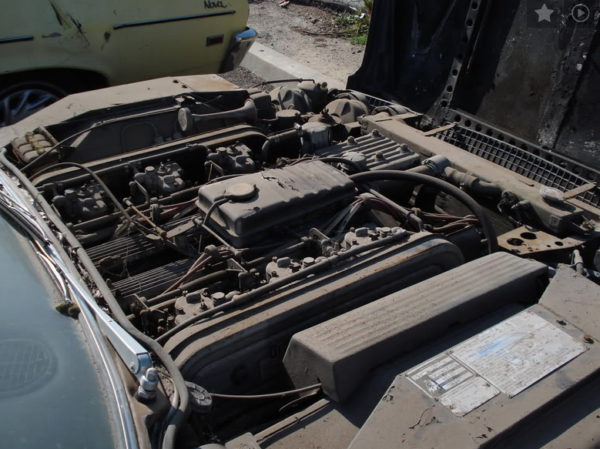 Was in a Van Nuys junkyard sitting for many years. 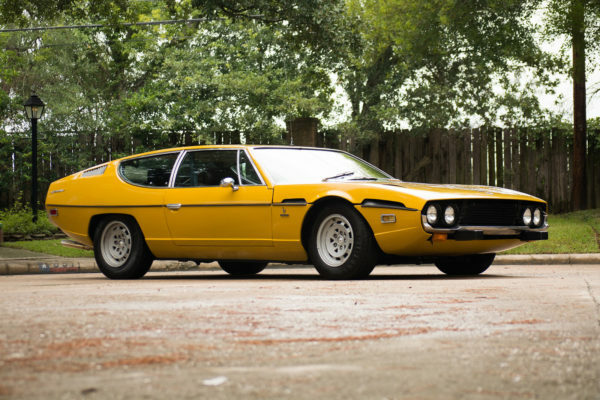 Originally sold at the Inglewood Lamborghini Dealer. Was punched by another Lamborghini collector to try and get running but the person failed and I ended up with it. After about 7 months of extensive body and paint work the car is slowing moving through the many different steps of being completely restored now. Currently the car is at Gran Turismo Los Angeles having all the mechanicals result and restored. The car is a Series III which is the least popular model of the 1200 or so Espadas built over the years. I liked the SIII because it came with factory AC and Power Steering. I plan to drive car around town so the real need for the Power Steering and AC. When I bought the car it had be re-painting in a Fly Yellow color, but the original color was a Metallic Gold. So I chose to go back to its original color of Metallic Gold. I removed the Federalized front and rear rubber “Beeks” and had the bumpers rebuilt.